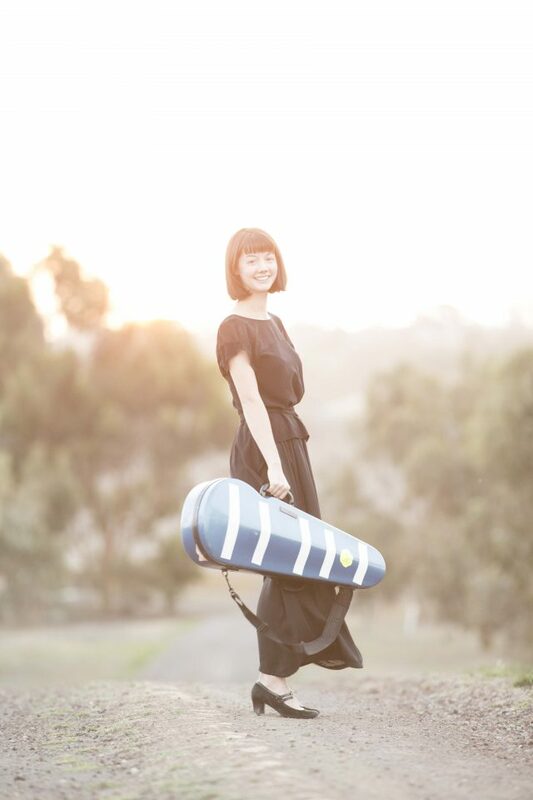 Katie Yap plays the viola with orchestras including the Australian World Orchestra, the Australian Chamber Orchestra, and Melbourne Symphony Orchestra. Katie recently ran a campaign on the ACF to fund her travels to Toronto for the Tafelmusik Baroque Summer Institute, and has since shared the love and donated to other artists’ campaigns on the ACF. In our new artist to artist series, we find out what spurs ACF-ers to donate to their arts community. 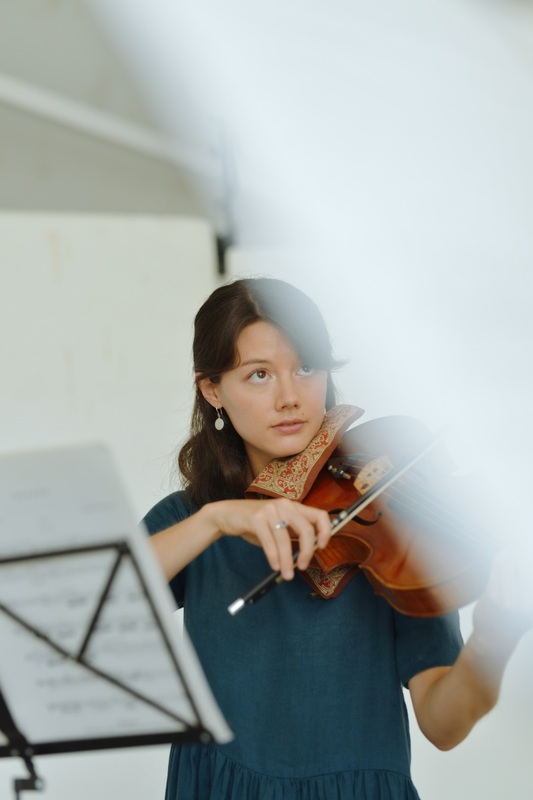 My name is Katie, and I’m a violist from Brisbane now living in Melbourne, playing both modern and early music styles. I also love folk music, and play fiddle and guitar; and I bake, garden and bush walk for fun. If money were no object, what work of art would consume or buy? I don’t think I can just choose one: I love the leaf art of Susanna Bauer, Dana Kinter’s paintings of Australian birds and plants on wood, and would get myself a really nice set of Baroque and Classical bows. Ultimately, I think the greatest work of art is nature (tacky, I know!) – and I’d put that money into preserving our Australian landscape, and helping communities to live harmoniously with it. What initially made you donate to another artist’s campaign on the ACF? I saw on Facebook that a number of my friends and groups I work with were fundraising through ACF, and thought their projects were interesting and important. My first donation was to baroque harpist Hannah Lane, who I first met when I was trying to print some music at the library, and my printing card wasn’t working! She lent me hers, and that act of kindness kept her in my mind until I saw that she was fundraising to undertake some study in Italy. I was only too happy to be able to give back to such a wonderful project! What makes you want to give to an artist or organisation? I am motivated to donate to an artist or organisation if their project looks to be one that provides an interesting new voice to cultural life in Australia, or adds depth to an existing one. I particularly like to donate to individuals or small organisations that don’t have much funding already, especially if their project engages a community in a meaningful way, such as through opening up a conversation about social or environmental issues, or providing access to the arts to a group of people that might not ordinarily have that. Once you have donated to these campaigns, do you like to stay in touch, is it important to you? It’s always nice to receive an update on how the money was used, or how their project went! But the more important thing for me is receiving a personal message of thanks at the time of donation – and it’s something I prioritise if I’m fundraising for something myself. What other ways do you like to encourage and support artists in your network? Be involved in their projects! I try to get along to as many concerts as I can, as my network is mostly in the music world. It’s really important to help people fundraise towards their goals, but if there’s no audience at the end, what’s the point? I always love it when I see my friends and colleagues make the effort to come to one of my concerts, and try to go along as much as I can to theirs. It can be difficult to do that because as an artist, money can be scarce, and sometimes you just want a break from your particular art form. But it’s always worthwhile going to support someone in your community, and I invariably learn something from any concert I go to see! What would you say to other artists who are thinking about donating to the arts? Definitely, do it! It doesn’t have to be much, just whatever is sustainable for you. If we don’t invest in the arts and in our community, it’s hard to expect others to do so. I think most artists are doing what they do because they believe it’s a valuable part of life. Having a wide variety of artistic voices provides different ways to communicate to and with the world – so it’s absolutely worth investing in others’ projects as well as in your own.